After activating the add on your users will be presented with the ability to view results in the original list view, as well as the ability to view properties matching their criteria on a map. 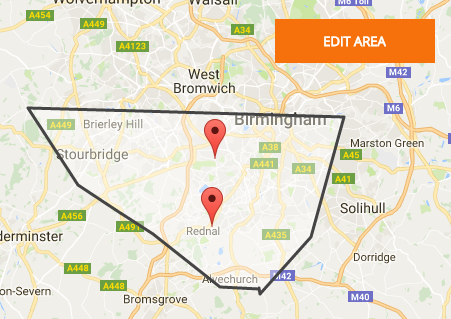 Let users choose the exact area and streets they want to search in by drawing a polygon straight onto the map. Once drawn, they can view the results on the map or in a list, and also edit the existing area. This feature can be turned on or off via the settings. Use the standard Google marker icon, upload your own, or maybe even have a different marker icon per property type. All icons can be uploaded through WordPress. 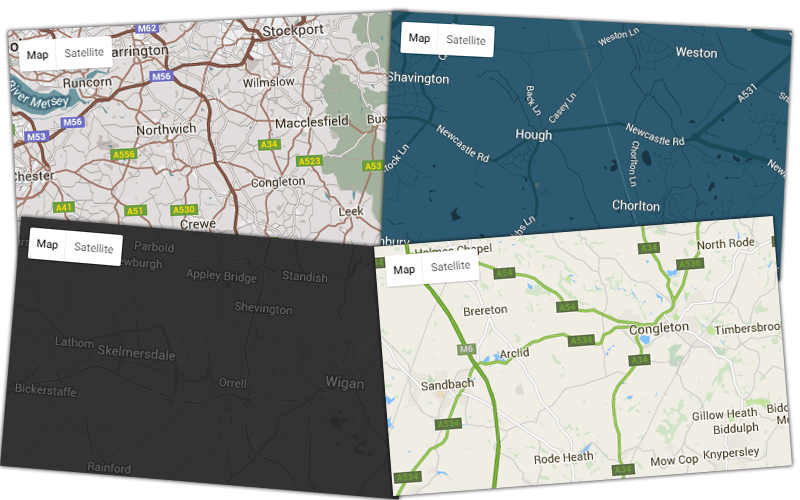 It’s easy to make the map match the rest of your site by changing the colours and styles. 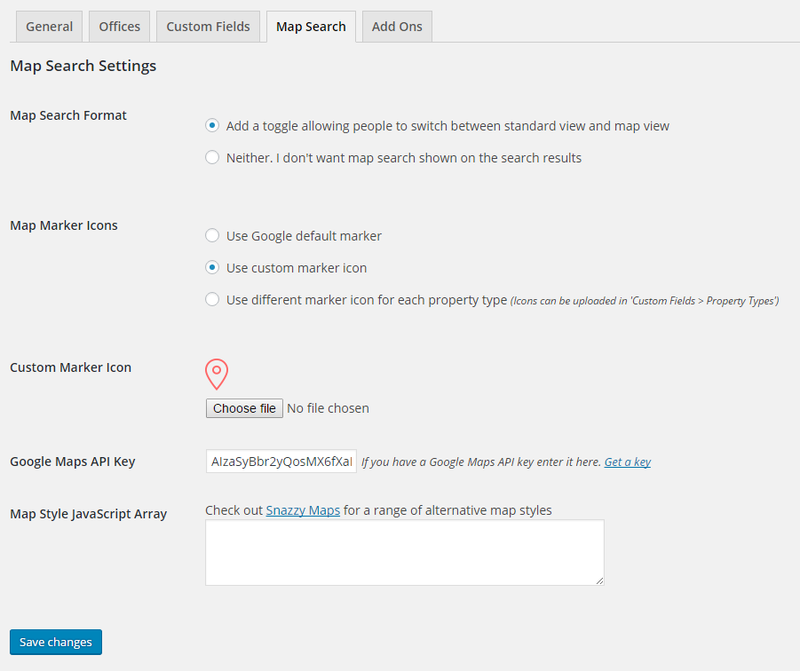 There are thousands of map styles available over at Snazzy Maps so simply find one you like and copy and paste the code into the add on’s settings. The possibilities are endless. Clicking a map marker will present the user with more information about the property and the ability to click through for more information. The styling of the popup can easily be overwritten using your own CSS to set colours, sizes and more. Once activated, you’ll have the ability in WordPress to configure all of the options. From setting icons, to entering a style and more.